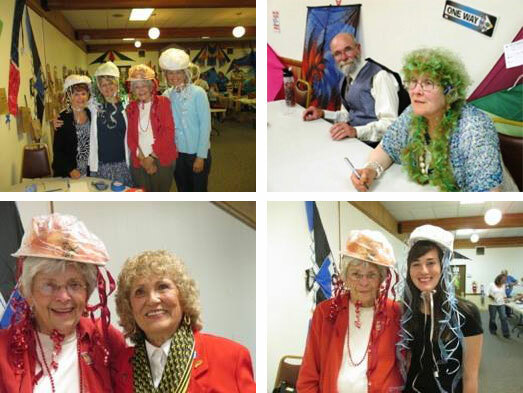 The World Kite Museum and Hall of Fame plays hard during WSIKF, Kite making, Kite flying, Auction Fundraising, Hall of Fame induction Ceremony, New Exhibits, Kite parties and more! Come out and enjoy! It’s time to laugh and joke about the week with old and new friends and to share what’s going on in the coming kite year and to show your support of the Kite Museum. Tickets are available during the week at the Museum ($25) and at the door. Sales are limited to 200 tickets. We would love it if you would wear an outfit in the cellular kites theme. Be sure to check out the bag and silent auctions before the loud auction. Doors open for no-host bar at 5:30 and dinner service begins at 7:00 pm. Silent Auctions close @ 7 p.m, loud and bawdy begins @ 8 p.m.
You can order online until the Saturday before the event. After that, please purchase your tickets by phone (360/642-4020), or in person at the Museum. 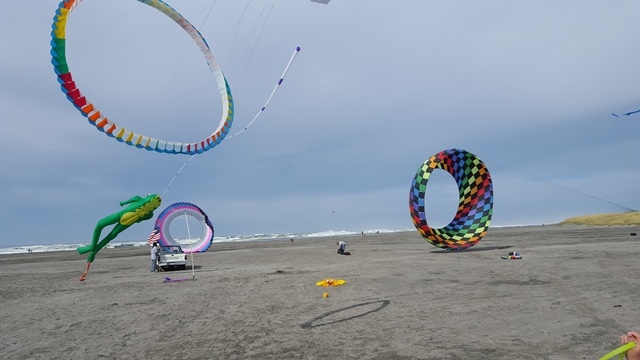 After an on-again, off-again, 20+ year battle, kite buggies, blokarts and other wind powered vehicles are allowed to run on portions of Washington State beaches thanks to a ruling made on March 26, 2015 by the Washington State Parks and Recreation Commission. We enthusiasts want to extend our gratitude and thanks to the Washington State Parks and Recreation Commission Project Manager Randy Kline for taking the time to become acquainted with, review, hold meetings and report on our ventures in order to make an informed decision and ultimately revise the rules concerning these activities. For a copy of the area maps and guidelines established by the Washington State Parks Department, please go to http://napka.org/resources.php and scroll down to the Washington State Beaches section. 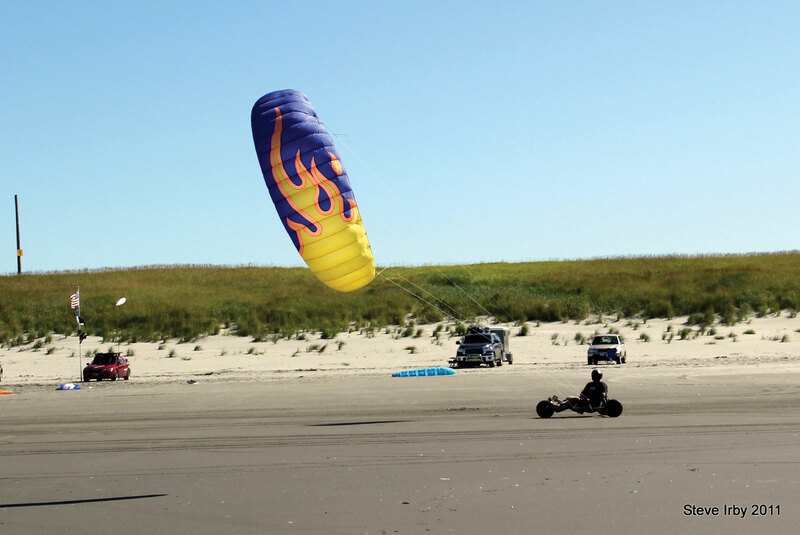 Now that beach buggying is official, we would like to invite anyone who is interested to come on down and see a demonstration of the fun that you can have when wind and wheels get together! 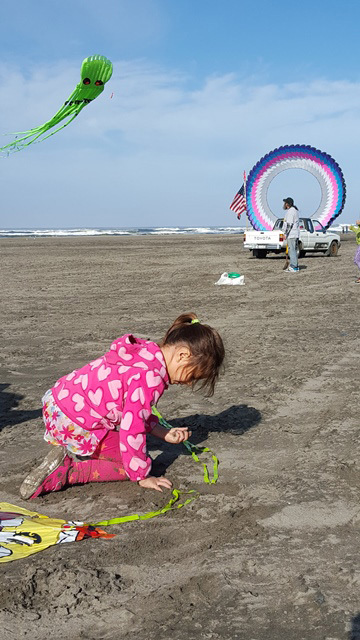 We’ll be out all week during the Washington State International Kite Festival (WSIKF) on the hard-pack at the end of Sid Snyder Way to show you what it is all about and answer any questions that you may have. Come on down – you won’t regret it. Has it been awhile since you and your family have gotten to “Play Tourist” on the Peninsula? 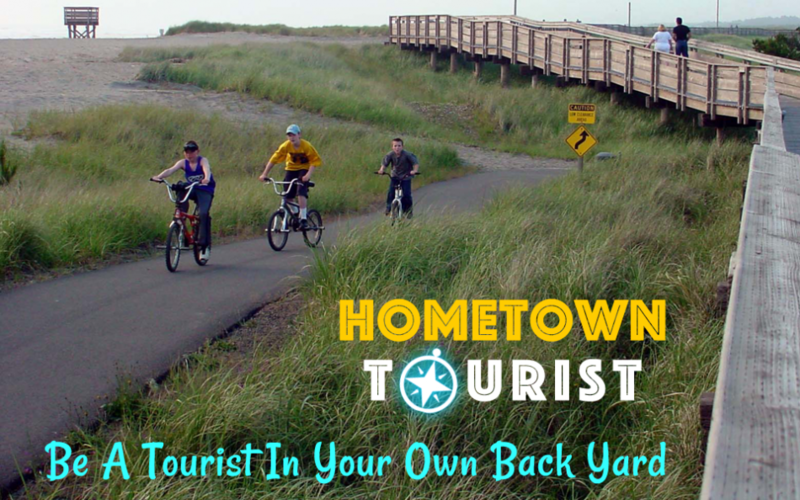 Hometown Tourism day might be just the ticket for Saturday of fun-filled family time! Several local attractions are working together to offer free and/or reduced admissions on Hometown Tourism Day. Take advantage of this opportunity to see what they have to offer!